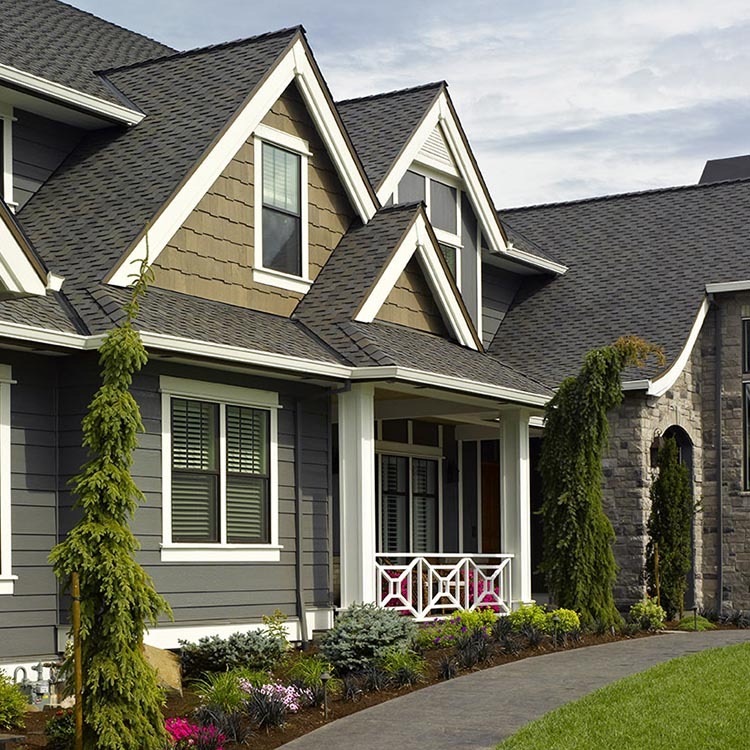 Monogram has an extensive color palette and offers a comprehensive system of value-added features with unique benefits that combine to create a truly extraordinary siding. 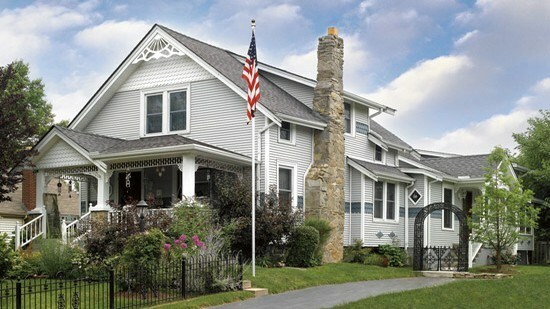 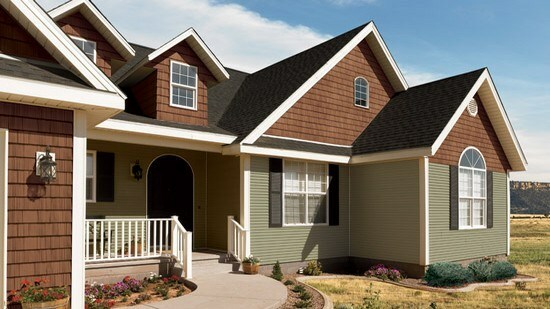 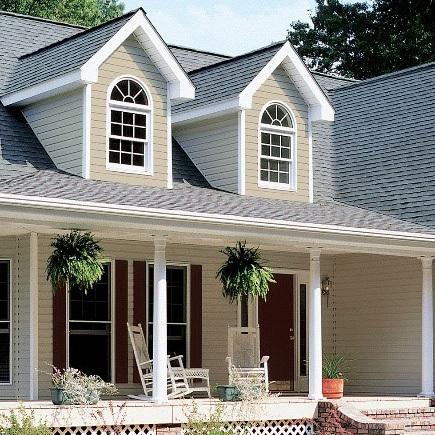 You can create a home to be proud of with a designer palette of more than 30 siding and trim colors. 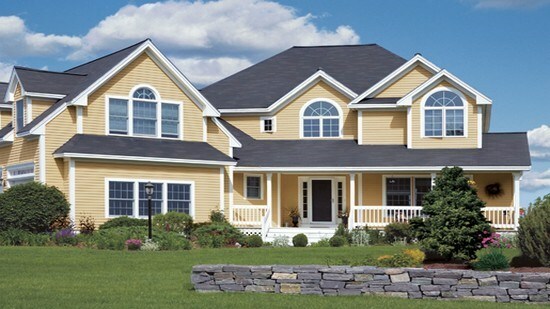 Inspired by nature, these colors are designed to harmonize home and environment. 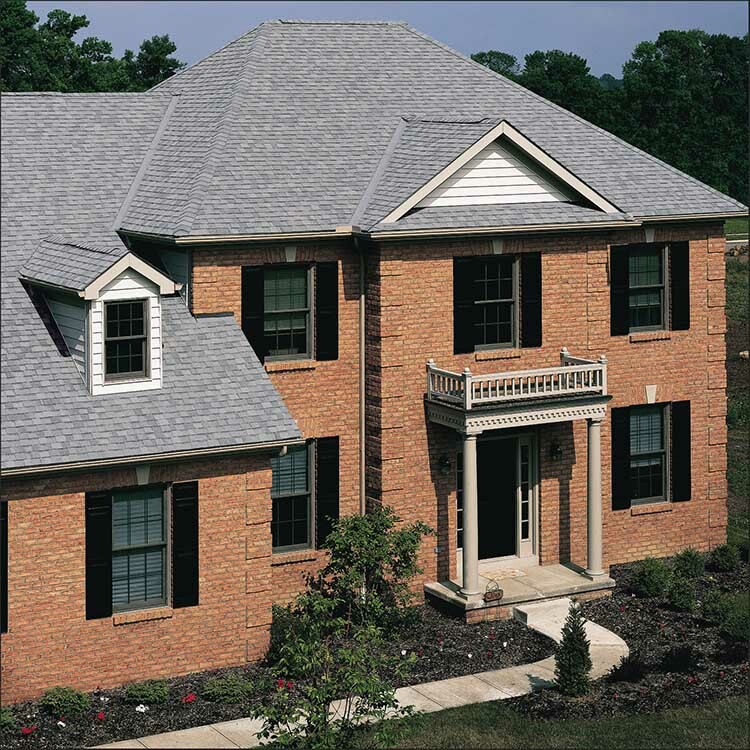 Monogram® Double 4" Clapboard in Sterling Gray with Cedar Impressions® Double 6-1/4" Half-Round Shingles in Colonial White and Pacific Blue used on this house make a perfect combination.